Restream Scheduler is a unique way to live stream! With Scheduler you can upload pre-recoded videos and have them live streamed on your behalf to any of your connected destinations! To schedule an event with Restream Scheduler, click "Schedule" from your Events Dashboard. Choose the title, date and time of the event, stream destinations and of course what you want to stream! Can Restream Scheduler stream 24/7? The Restream Scheduler can stream 24/7 with a small ten minute intermission every four hours. We are working hard on decreasing this intermission time! Every plan is able to stream 24/7, but the Large plan makes 24/7 coverage fully autonomous. With the other plans can schedule new events after one has completed with the available event slots. How long can I stream? 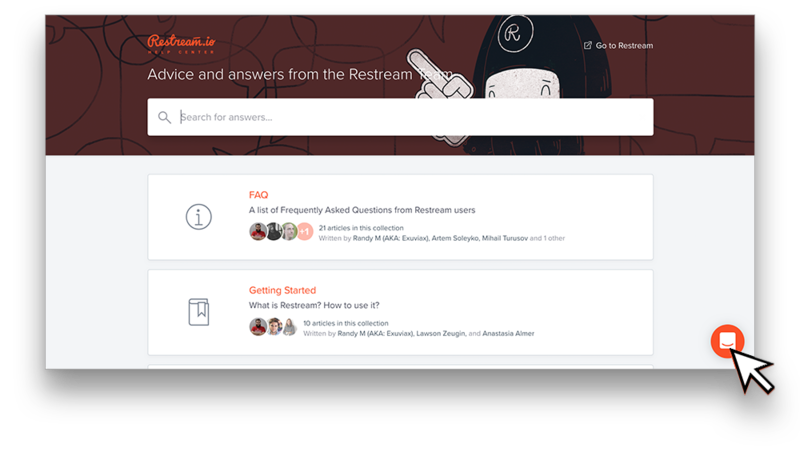 What is the max video size for Restream Scheduler? Where will it be streamed from? Can I Upload with Google Drive, Dropbox or Frame.io? What is the proper video format for Restream Scheduler? Your bitrate, frame rate and resolution options are based on the destinations you have connected to your Restream Dashboard. Please review the channel limitations of your connected channels to ensure your stream is accepted they them. Can I stream longer than four hours? If consecutive four hour streams won't work for you, our Enterprise plans may be the best fit for your needs! Enterprise is a fully customizable plan that works exactly for your needs! To learn more about our Enterprise plans, please contact our support team! What timezone are streams scheduled in? When scheduling a new event with the Restream Scheduler, it will use the timezone set on your device. The timezone it is scheduled in will be shown while setting up the event. Of course, if you have any other questions or concerns, please do not hesitate to get in touch with our 24/7 support team! Click the chat icon at the lower right-hand corner of your screen to ask a question!